A family is looking for answers and closure after a man was killed in a hit and run on Super Bowl Sunday. 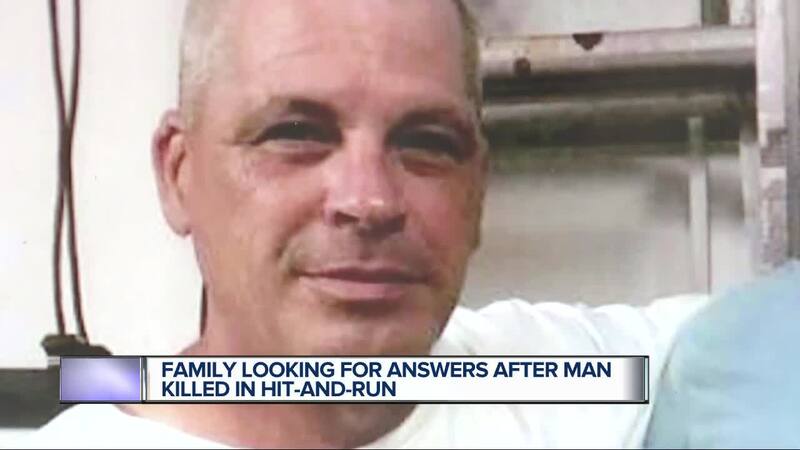 WARREN, Mich. (WXYZ) — The loved ones of a Macomb County man killed in a hit-and-run crash are speaking out for the first time, hoping their words and a new reward will help track down the driver. In an effort to quickly catch the suspect, Crime Stoppers is offering a temporary $3,500 reward for information that leads to an arrest before midnight on Wednesday, Feb. 13. It's been ten days since Randy Menendez was killed while riding his bike in Warren, but who left him to die? Menendez's family says not knowing who's responsible has only added to their unbearable grief. "I don't sleep," said Rosanne Menendez, Randy's brother. "It's forever running through my head, 24 hours a day because I can't wrap my head around how someone could do that. This was a human being." Rosanne's brother was killed Super Bowl Sunday by a hit-and-run driver at Groesbeck and 10 Mile Road in Warren. Warren police say Randy was on his bike when he was hit by the driver of a gray Dodge Charger. Investigators say the driver just kept going and never even slowed down. Randy's mother, Sophia Ann Palazzolo, said he was almost home when the crash happened. "We were going to watch the super bowl together," Sophia said. "He wasn't 10 minutes from the house. I just want justice for Randy. I want (the suspects) to be caught." Warren police say the crash left extensive damage to the front-end windshield of the gray Dodge Charger SRT392, which was manufactured after May 2018. Randy was 60-years-old, a father, brother and son. Loved ones say they want to focus on all the good times they had with him, but right now, they can't without knowing who left him to die. Crime Stoppers is offering a $3,500 reward for information leading to an arrest in this case by midnight on Feb. 13. For tips that lead to an arrest after midnight, going into Feb. 14, the reward will be $2,500. All tips can remain anonymous. You can contact Crime Stoppers at 1-800-SPEAK-Up or www.1800SPEAKUP.org.